I noticed something in the distance while clicking along rural U.S. Route 59 in Minnesota, 80 miles southeast of Fargo, North Dakota. Two grainy heads appeared out of the water like a pair of Loch Ness monsters. 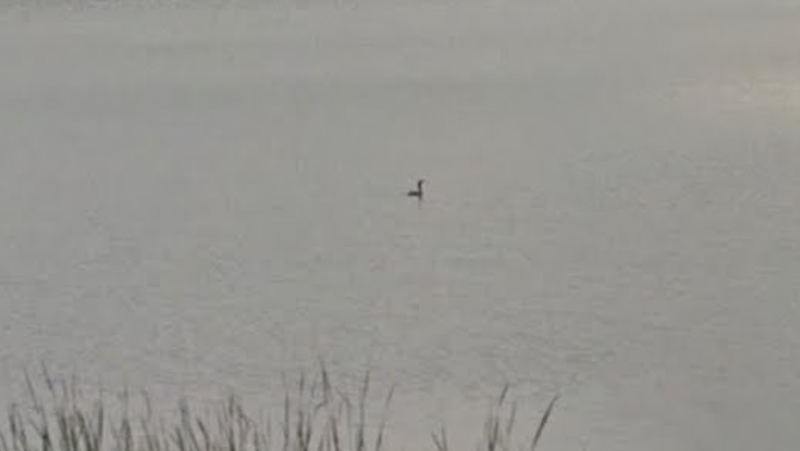 I couldn’t make them out for certain, but given the location (Minnesota) and time of year (summer), I thought they could be common loons, birds that hadn’t yet been found by the other birders in my Facebook group. 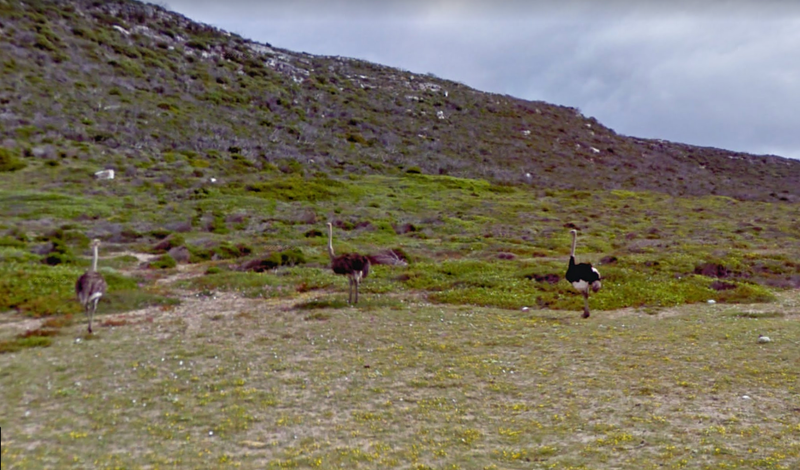 I’d been scouring Google Street View for hours hoping to find them, and here, I thought I’d nabbed a breeding pair. “I think this is good for a breeding pair of common loons, a new one for the sheet!” I posted. But then the comments started rolling in. “Looks like a cormorant to me,” said one. “Cormorant not loon imo,” said another. “The neck [is] too long relative to the body size. The bird in the back may be different, but tough to say,” said Nick Lund, a birder and writer for the National Audubon Society and creator of the website The Birdist. 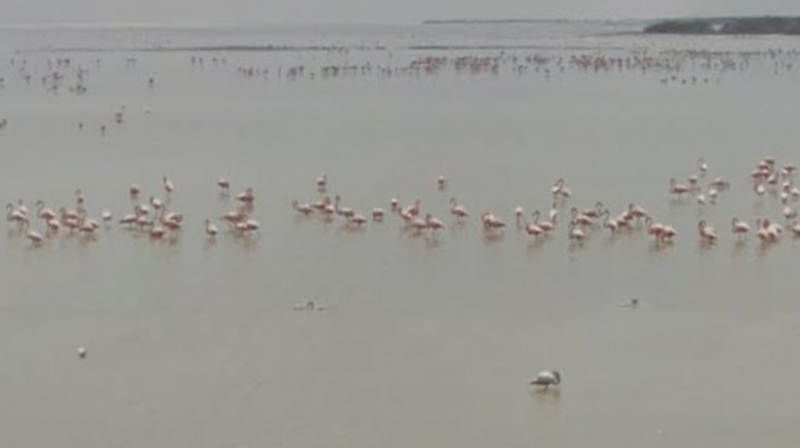 Lund founded Google Street View Birding, a private Facebook community of birders who scour Google Street View for grainy images of birds to identify. The group is only two weeks old, but its 1,000+ members have already identified more than 600 different bird species. “It’s been amazing for me to put this out there and have people find so much incredible stuff,” Lund told Gizmodo. Lund began Street View birding in earnest in 2013. While the rest of his friends were using the service to look at their houses, he started looking for birds. He was able to spot dozens of birds, and finally this year welcomed others to join his hobby. Identifying birds, no matter how distant or obscured, is already the central goal of birding, so other birders took to the group and expanded Lund’s list. Entries come from all over the world. The only rules: no pets or zoo birds allowed; photos must include links to the location on Street View; and they must come from Street View (the blue lines on Google Maps) and not Photo Sphere (the blue dots). Hiking trails are allowed. You may be familiar with other Google Street View games, like finding the airport or guessing where on Earth you are. The app is certainly not optimised for looking at birds, but nonetheless is perfect for birding. The group has found a tonne of wildlife, including favourites like bald eagles, flamingos, and ostriches, but also a rainbow bee-eater, loggerhead shrike, and even a hummingbird—but what kind of hummingbird is hard to guess. If you’re thinking, “hey, those are just a couple of pixels,” that’s sort of the idea; birders combine their knowledge of appearance, bird behaviour, location, and time of year to make their calls, which other birders then confirm or deny.